Your English speaking driver will pick you up at the port or Hotel at 8AM. 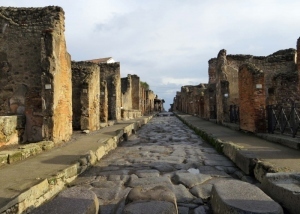 The first stop will be at the ruins of Pompeii which is the old town that was buried from the Catastrophic Eruption of Mount Vesuvius in the year 79 A.D. and was excavated just in the 1748 (not completed yet!). 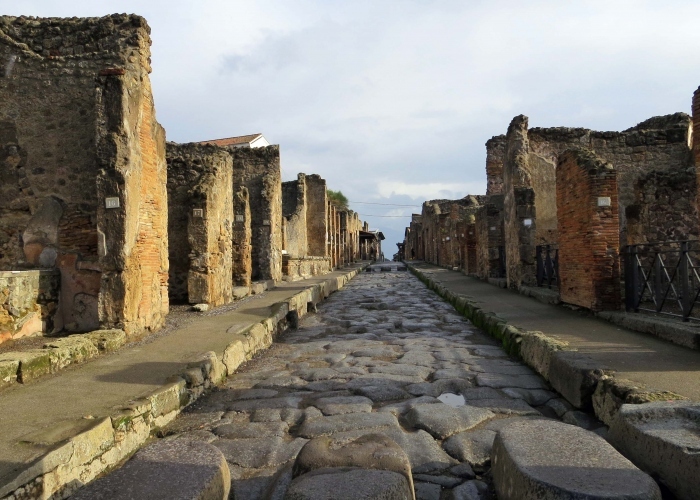 In Pompeii we can also arrange for you a professional licensed guide that will lead you inside the ruins for 2 hours to maximize your limited time there otherwise you can walk in the ruins on your own. Your driver will drive you through the major attractions of the city and will give free time to take a stroll in the downtown (Piazza Plebiscito and Piazza Trieste and Trento where are the famous Theatre San Carlo, the Galleria Umberto I, the Royal Palace, Castle Nuovo, the shopping street called Via Roma and the Bar Gambrinus famous for its espresso coffee and the typical Neapolitan paistry called “Sfogliatella”). 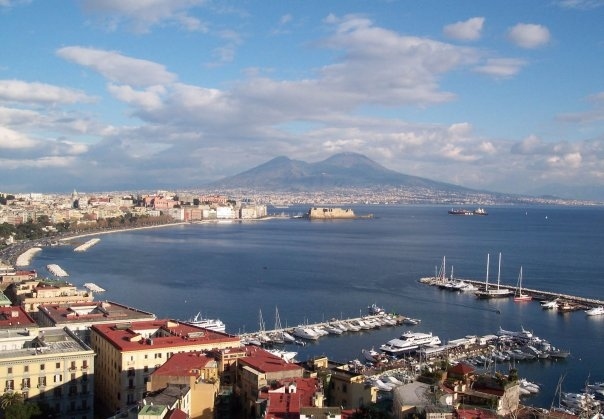 Then we will drive you through the water front where are all the best Hotels in Naples till the area called the postcard of Naples (where you can join a wonderful panorama of the city and Sorrento, Capri and Mount Vesuvius in the distance). Then we will drive you through the Duomo of San Gennaro before to get to the National Archeological Museum which is the Europe’s most important and largest archaeological museum. Here you can see most of the findings from the excavations of Pompeii and Herculaneum, two of the towns that were destroyed by the eruption of Vesuvius in the year 79 A.D.
After visiting the Museum we will drive you back to the port or Hotel. 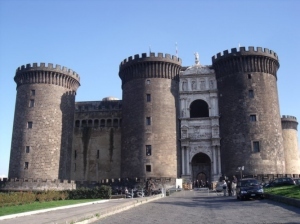 * Entrance fee to Pompei ruins is 11 Euros per person (kids under 18 years old will not pay the entrance showing a valid document). 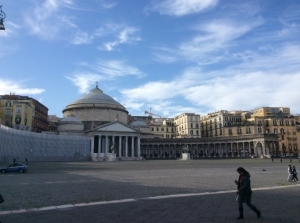 * Entrance fee to the National Archeological Museum is 8 Euros per person (closed on Tuesday with the possibility to replace it with another site in Naples). 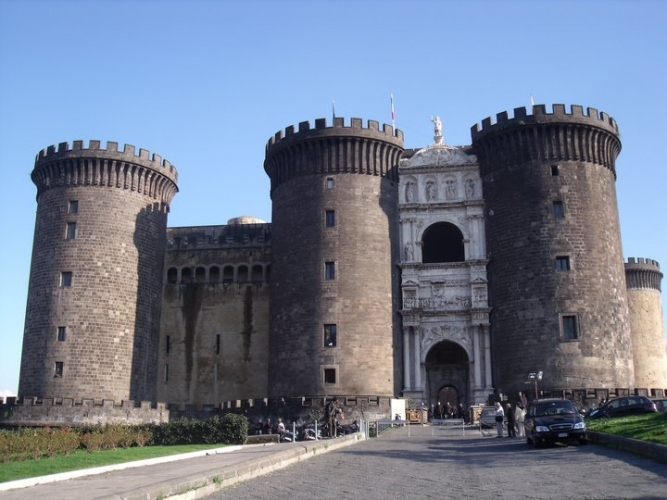 From May 26th to November 2nd 2015 the entrance fee for the National Archeological Museum will be 13 Euros because of a special exhibition.